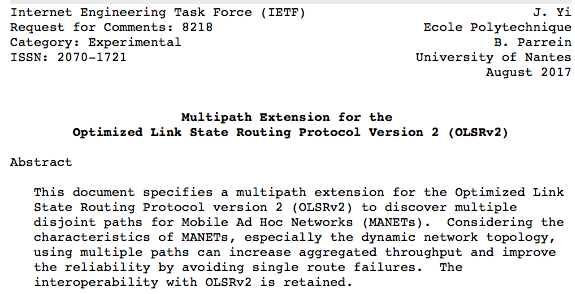 After ten years of hard work (well… not that hard), 20 revisions, MP-OLSR, the Multipath Extension for the Optimized Link State Routing Protocol Version 2 (OLSRv2) finally gets its RFC number: 8218 (https://tools.ietf.org/html/rfc8218). MP-OLSR is my major work of my PhD thesis. It is a multipath routing protocol based on OLSR. The Multipath Dijkstra Algorithm is proposed to obtain multiple paths. The algorithm gains great flexibility and extensibility by employing different link metrics and cost functions. In addition, route recovery and loop detection are implemented in MP-OLSR in order to improve quality of service regarding OLSR. The backward compatibility with OLSR based on IP source routing is also supported. Polytechinique’s Executive Education on IoT is on the way! 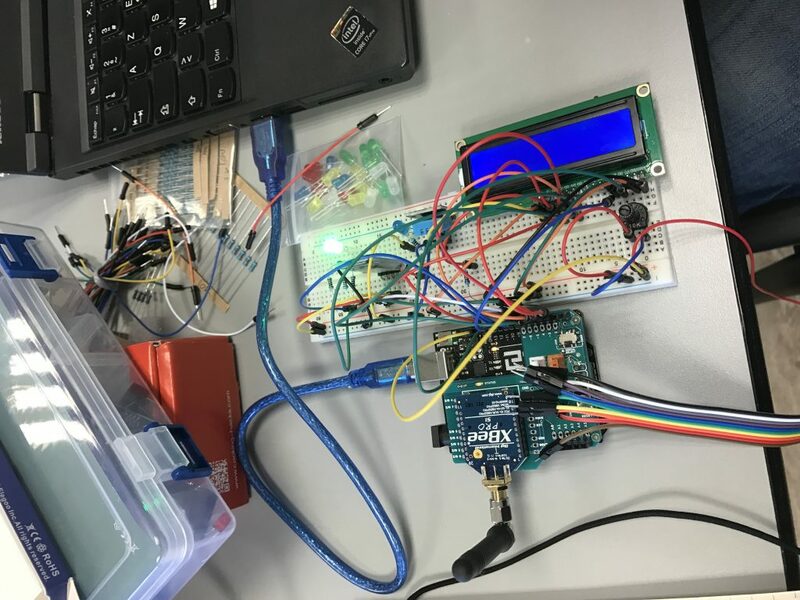 Recently, I participated in Polytecnique’s Executive Education program, giving classes for the hands-on session, which means, wiring the boards, connecting different kinds of sensors, writing programs to drive the hardware, and eventually building connected objects for the “smart” world! X’s IoT executive education program (more information) aims at providing the best IoT education to experienced engineers, project manages, consultants, etc. who are interested in exploring the future “connected smart world”. Different from the “fresh” students that I usually work with at X, the participants of the executive IoT program are much more experienced with different backgrounds: network engineers, project managers, consultants, founder of startups, etc. Therefore, for me, giving the class means not only sharing my knowledge with them, but also getting to know what are their expectations (especially from industry) for IoT, and what are the real problems that they face. No need to say, it was great experience. Before the hands-on session, the participants had already classes on network protocols related to IoT (from basic TCP/IP to LoRa, 802.15.4, CoAP, etc.) and protocol verification. The purpose of the hands-on session is to build smart things that can speak, feel, listen, see, communicate and think. We begin with “sensing the physical world” based on Arduino boards, which includes temperature, humidity, distance, light intensity, sound, etc. with wide arrange of sensors provided by our networking lab at X. 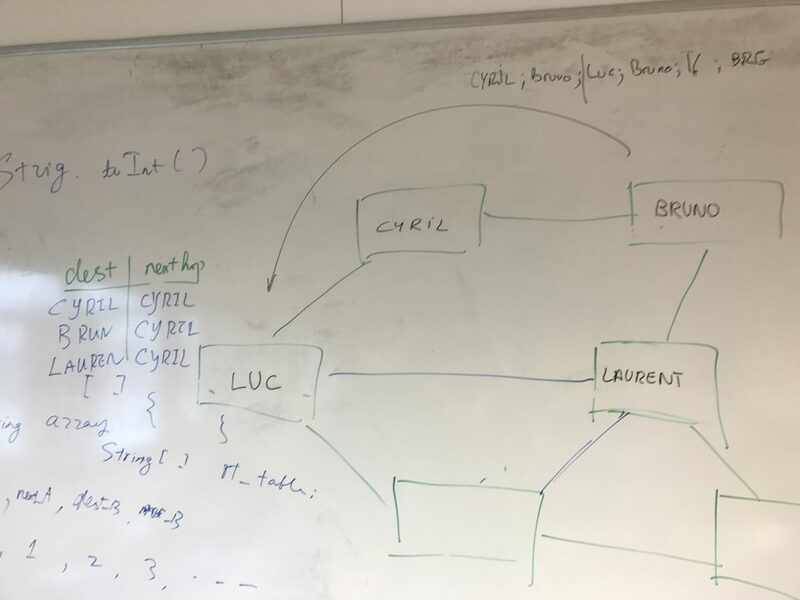 After getting familiar with the *local* input/output, we continued with the communication part: have the things connected. 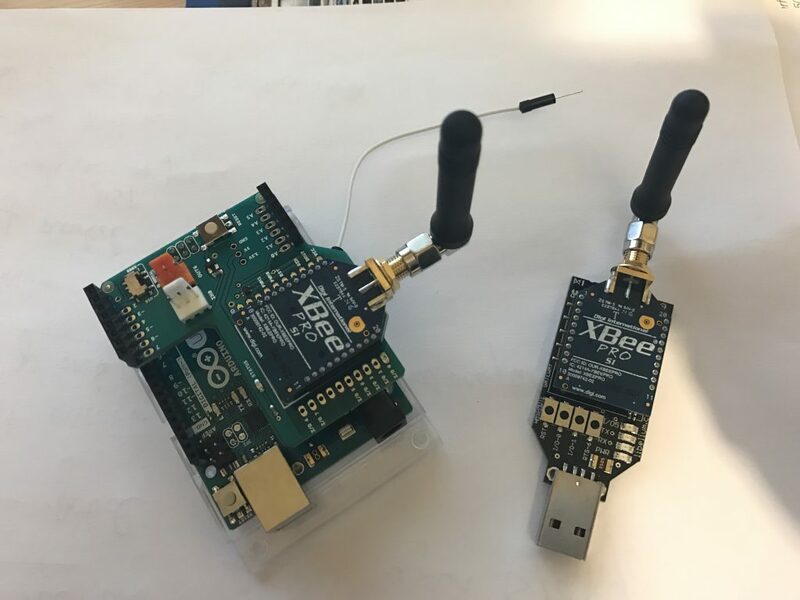 Knowing the heterogeneous nature of layer 2 technologies, we played with different kinds of radios: Bluetooth, 802.15.4, LoRa, Sigfox, WiFi, etc. With the basics on manipulating sensors and radios, we continued with the “brain” for IoT: the operating system. 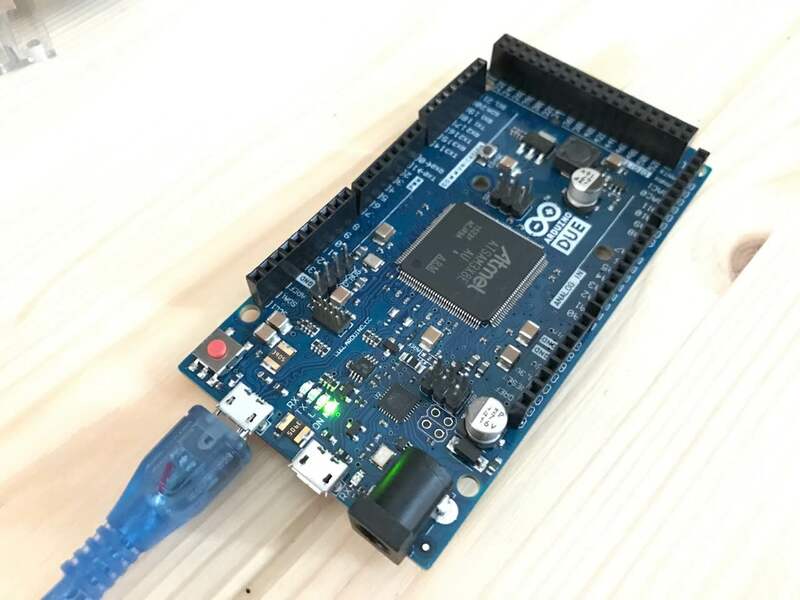 It’s true that Arduino provided a fairly handy interface to the hardware, but there are still some limitations, especially on the support of multi-threading and network protocol stack. So we studied the RioT OS, one of the most recent and popular operating systems designed for IoT, and FreeRTOS which can be easily integrated with Arduino sketchs. The final day was the “I” of IoT: connecting to the Internet. Our participants are free to build their own small projects, including a sensing part, a communication part and a “uplink” to the Internet. For example, sending a mail notification (and possibly taking a picture) when someone gets into a room, twittering messages regularly about the information of the environment (temperature, humidity, pollution, etc. 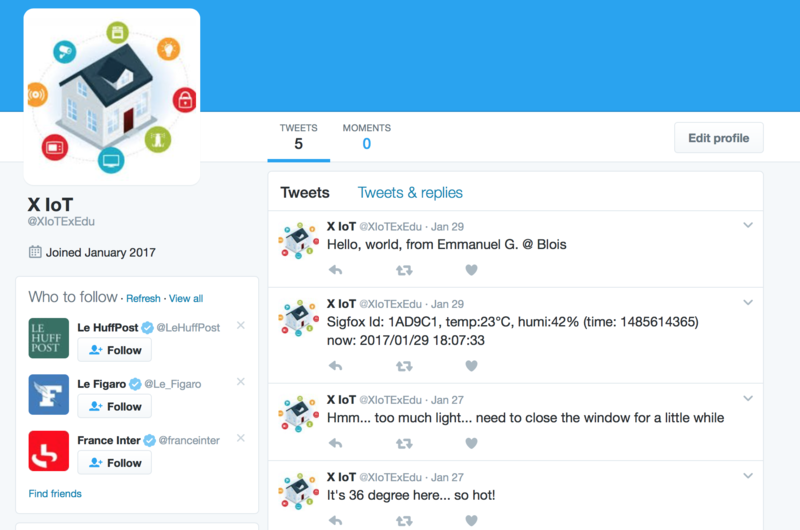 ), using the OS for IoT to process real time data, etc. It was a great pleasure to work with our participants in such excellent occasion and learn IoT technology by actually building smart things. Thanks very much to all the students and my colleagues who worked hard in the program to make it a great journey! Apparently, the problem with Uno and Mega2560 is due to the fact that I used the VM provided (https://github.com/RIOT-OS/RIOT/tree/master/dist/tools/vagrant ). When I retried without the VM, the problem related to UNO/Mega2560 disappeared. I think the problem lies on the fact that you’re using the vagrant VM. It comes with predefined default access to several boards which provide UART connectivity, and usually it works good so far. At the same time, if the resources of the host are not so high, of course it has a consequence on the communication with external hardware. I tested three of them: Due, Mega2560 and Uno. This should take care of everything! However, after the flashing, my laptop (a Mac Book pro) couldn’t find the Arduino in its device list, which makes it hard to tell whether the device is running properly or not. /home/vagrant/RIOT/dist/tools/pyterm/pyterm -p "/dev/ttyACM0" -b "115200"
No handlers could be found for logger "root"
Apparently, this is due to the output code of the Riot OS. Now we can see the device is running as expected with Riot OS. You might ask: if I couldn’t see my Arduino in the native port after flashing Riot OS, how to flash it again? A stupid, but workable solution is: try to do a flash on the programming port, which will surely give you the same error message shown above — but after this, you will be able to see the device by connecting native port. Native port: directly connected to USB host pins of SAM3X. Able to use DUE as a client USB peripheral or host device. Also can be used as virtual serial port using “SerialUSB” object in the Arduino programming language. Programming port: connected to an ATmega16U2, which provides a virtual COM port to software on a connected computer. The 16U2 is also connected to the SAM3X hardware UART. Serial on pins RX0 and TX0 provides Serial-to-USB communication for programming the board through the ATmega16U2 microcontroller. Very recently, Riot OS has its support to Arduino UNO (https://github.com/RIOT-OS/RIOT/wiki/Board:-Arduino-Uno). avrdude: reading input file "bin/arduino-uno/Task01.hex"
Apparently, something is wrong with the avrdude, which is for flashing the UNO board. However, without knowing much about avrdude , I have no idea what’s going wrong. avrdude: reading input file "bin/arduino-mega2560/Task01.hex"
When playing with GDB this afternoon, I noticed a “strange” behavior. From WiKi: Linux kernel enabled a weak form of ASLR by default since the kernel version 2.6.12, released in June 2005. The PaX and Exec Shieldpatchsets to the Linux kernel provide more complete implementations. To use png as terminal in GNUPlot, libgd2-dev library is needed (which is not provided in some distributions). After installing libgd2-dev, one needs to rebuild gnuplot. If you would like to save Gnuplot output as any other formats than those supported by native Gnuplot terminals, you can use redirect operator ¨|¨, to redirect Gnuplot’s native output to an external tool for format conversion. For example, to export Gnuplot output to pdf format, first install ps2pdf which is contained in ghostscript package. Then redirect Gnuplot’s poscript output to pdf format. But they are not very straightforward, or it took me a little while to make it work. So I’ll simply repass the HOWTO with more details here. Assuming now we have a static library named libctest.a and header file ctest.h. ATTENTION: the file names and lib names are important!! If you are using third party libraries, you probably need to define the LD_* variables accordingly. Now you can make used of the functions defined in the lib.